Back in August, the first copies of Mark Vellend’s book The Theory of Ecological Communities were released. I got one of them and found out from the publisher and from the Twitter-sphere that the books were in high demand. A couple people on Twitter suggested forming a book club, and being a compulsive organizer, I figured I could gather 6 or 7 or 8 people who wanted to read the book together this fall semester and we could find a time to meet online. So I set up a Google Sheet and sent out a tweet. More than 40 people responded as word spread on Twitter and beyond. Huh. That would be a bit too many for one group. Instead, I organized everyone into six groups, each of which were to meet once per week online. An additional group formed at UBC of people who met in person, and who kept in touch with the rest of us. I definitely didn’t want to be in charge of 6 or 7 groups and so after setting up the time slots, I asked each group to be autonomous, with a “group organizer” to help keep it on track. Most of the groups have now finished reading the book and I asked the group organizers for feedback on their experiences. Overall, it was successful, and here I’ll talk about some of what worked and what didn’t. I hope this post can help guide anyone else who wants to do something similar in the future. Since each group was autonomous, the members chose their own schedule and rules. One group set up the reading schedule ahead of time and posted it for group reference online. My group figured out its schedule as we went along; at the end of each meeting, we would look ahead in the book and decide if we wanted to read the next one or two chapters for the following week. Both methods seemed to work fine. Attendance is always the key thing for any group meeting on a volunteer basis. The groups comprised 5 to 7 people, and most groups decided upon a quorum of 3 or 4 people to hold the meeting that week and cancelled if not enough people could make it. Not surprisingly, some people who signed up — who really wanted to read the book — found that their schedules were over-full and couldn’t attend regularly. One group stopped meeting because of consistently low attendance. In general, group organizers reported really liking the size of the groups. It seems that a group size of about 6 or 7 works well to ensure that enough people can meet regularly without being too big if most everyone shows up. The group that met in person had many more participants; 10-20 people showed up each week(!) But attendance declined over time, perhaps because it was too big a group for good discussions. In forming groups, I had to be aware of time zones, as participants hailed from New Zealand, Australia, mainland Europe, the UK, Brazil, and all across North America. This was the trickiest part, because wanted to try to keep groups diverse. The one group that dissolved, however, was the one that had the biggest time differential. It included participants from Australia and New Zealand (who met during their early afternoons) and participants from North America (who met in their evenings). This group’s organizer said that coordinating across such a large time difference proved somewhat difficult. Another point that group organizers mentioned was diversity of career stages. I didn’t think to ask about this when forming groups, so there was no attempt at making sure there was a good mix of career stages within groups. My group, for example, was mostly postdocs and ran fine. One group that ended up being all grad students reported wishing that they had had some participants who were postdocs or faculty. One thing that seemed to work great for most groups was the diversity of areas of expertise among group members. (This was another thing I didn’t think to ask about ahead of time, but most groups seemed to get a good mix by chance.) I think this diversity of expertise is one benefit that can be gleaned from arranging online groups. 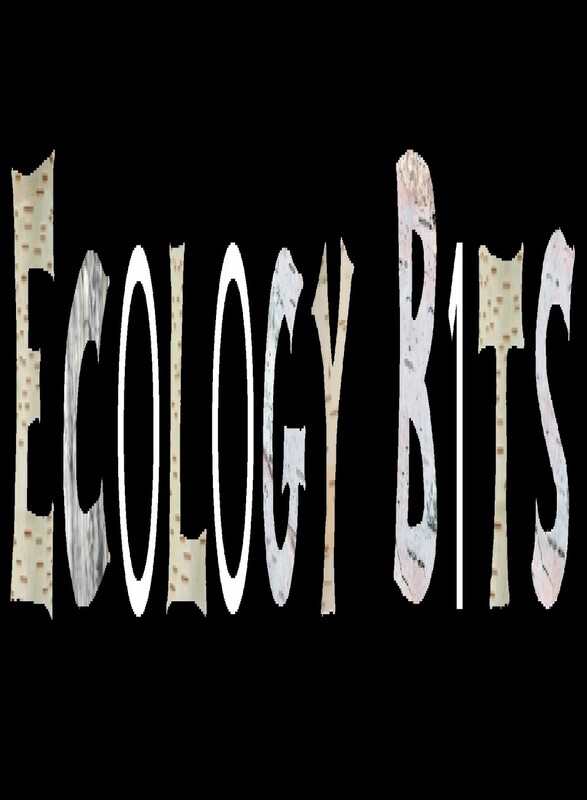 Groups had people studying things ranging as widely as core community ecology, population genetics, ecosystem ecology, animal behavior, theoretical ecology, and evolutionary ecology. Study systems also ranged widely. Group organizers reported that this diversity of perspectives really contributed to interesting conversations. Technology-wise, all the online groups used Google Hangouts for their discussions, which seemed to work just fine. One group organizer pointed out that it’s possible to make a permanent link to use each week, which made organizing easier. A couple groups used Google Docs and one made a Google Site to take group notes and share resources (links to papers, TED talks, etc.). I made an open Google Doc that anyone from any group (or no group) could contribute to. These appear to have been used a little bit, especially at the beginning, but there wasn’t a huge interest in using a collaborative tool for notes or continued discussion. All in all, I think it was a successful endeavor. The bulk of my time and effort was upfront in organizing times for all the groups, and that wasn’t actually too much work. Having distributed and autonomous groups definitely made it logistically manageable, although there were several people who were interested in cross-group communication or conversations that just never took off. (Efforts were made by Google Doc as well as on Twitter with hashtag #TOEC.) Initial group sizes of 5-7 worked well, and diversity of career stage and scientific area of expertise seem to be key for engaging conversations. Having an interactive chat with the author at the end was straightforward to organize and was a lot of fun. So… what book are we all reading next? As one of the NZ participants I just want to say thanks so much! I got a great deal out of the discussion group, and felt like there were things i could learn from talking with members across the world that would be hard to pick up on in a standard NZ based discussion group.